With the luxurious, beautiful, and serene atmosphere around Treuvís Eyes Nails Body Laser Spa, all stress starts to melt away as soon as clients walk in the door. Known as the Jewel of Macomb County — Located in Clinton Township, Michigan — the spa is convenient for clients coming from the surrounding neighborhoods of Sterling Heights, Shelby Township, Macomb, Rochester, and Troy. The primary goal of the spa staff at Treuvís, which means “true vision,” is to help each client reach their personal beauty health and aesthetic goals. With the staff’s attention to detail and the highest standards of cleanliness and sanitation, clients can feel confident that they’re in good hands. Hosting a full menu of fabulous beauty enhancement choices is all in one luscious spa location at Treuvís Eyes Nails Body and Laser Spa in Clinton Township. Clients can achieve their optimal facial and body goals at the spa. Plus, with modern skin care services such as the HydraFacial®, microdermabrasion, and personalized facial treatments, clients can have beautiful, healthy, glowing skin by the time their service is complete. The estheticians and spa staff also provide individual lash extensions, microblading, brow and lash tinting, body sugaring and waxing, laser hair removal, IPL Photofacial, Microdermabrasion, MicroNeedling, Dermaplaning, Hydrafacial MD just to name a few of the Med Spa services we offer plus a full selection of nail enhancements as well as manicure and pedicure services, teeth whitening with BleachBright®. Upon arriving for visits, you’ll be greeted with a smile and a warm welcome by our front desk staff. Our knowledgeable management staff is waiting to help ensure each client gets the best service for their specific needs. The relaxing lobby, where an assortment of herbal tea and freshly brewed coffee and bottled water are available, allows clients to unwind before going in for their service. Clients of Treuvís Eyes Nails Body Laser Spa visit quickly become a part of the Treuvís family during their first visit. The dedicated team of nail technicians, massage therapists, estheticians, and med spa specialists spend time getting to know each client personally by name and build lasting relationships with them. At Treuvís, we appreciate and truly enjoy pampering each and every client from head to toe and that our clients often have a hard time leaving the spa and genuinely look forward to their next visit. "The whole experience was wonderful. Friendly, professional staff." "Customer service is awesome! Very friendly staff and very clean." "The service is phenomenal and the staff is amazing." 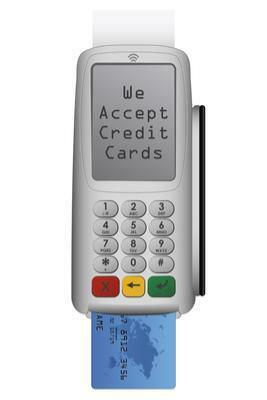 All major credit cards accepted with a $2 credit card fee.